Florida Sen. Jack Latvala says he’s not ready to give up politics after he’s term limited in the Senate next year. But he won’t say what he’s eyeing next. Latvala spoke at the Tiger Bay Club in Tallahassee. 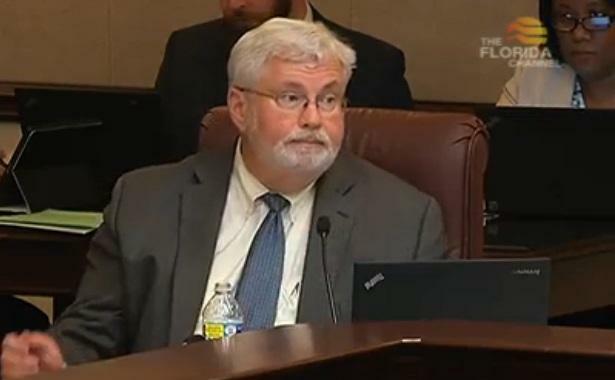 Senate Appropriations Chairman Jack Latvala said if he could be elected to the House for life, he’d turn it down. Latvala calls the House’s budget priorities this session discouraging. The Clearwater Republican supports Gov. Rick Scott’s fight with the House to keep funding tourism and business incentives. Latvala said he was one of the lawmakers who set up Enterprise Florida. “We took a state agency with state bureaucrats and we replaced it with a business-government partnership to work on bringing the kind of companies in that would provide high-wage, skilled jobs for the future,” he said. But Rep. Paul Renner, who’s sponsoring a bill to kill the agency, said Enterprise Florida favors big companies and most of them don’t live up to their end of the bargain after getting the incentive money. Latvala said there’s likely a deal to be made to get the higher education funding if the Senate is willing to embrace schools of hope, which is a bill being pushed in the House by his son Chris. Latvala said too much session time has been eaten up by fighting over economic development and limiting home rule. Latvala refers to one measure that deregulates vacation rentals. Latvala blames term limits for stripping legislators of their independence, although he said he voted for them. Florida approved term limits as a Constitutional amendment in 1992. Latvala said term limits give the Senate president and House speaker much more power. Democratic Rep. Loranne Ausley said Latvala is right about term limits increasing the power of the top leaders. She said it’s not Democrats who Republicans must compromise with. Latvala said if the House and Senate begin conferencing on a budget compromise at the start of next week, that’s be a promising sign that session will end on time. The House and Senate are between $2 billion to $4 billion apart on their spending proposals for the upcoming fiscal year, depending on how you count. Debate over the bills began Wednesday in both chambers. With five weeks left in session, the House and Senate have released their spending plans. They stand roughly $2 billion apart.